This is Pumpkin Head, he carves giant pumpkins. 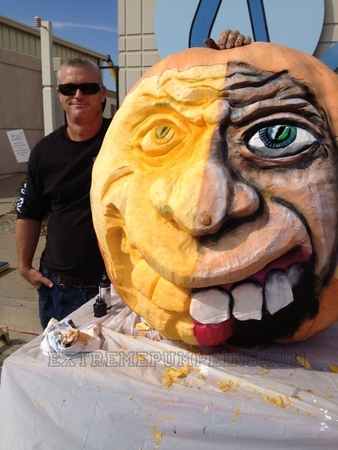 They are especially hard to work with because they never really look like a face, but Pumpkin Head has talent. He does great stuff.